In honor of Prince William and Kate’s April wedding, I’ve dedicated this month’s Female Friday to queens. Lili’uokalani was the last monarch of the Kingdom of Hawai’i. She was born on September 2, 1838. She was educated at the Chiefs’ Children School and became fluent in English. In 1877, three years after Kamehameha V died without an heir, Lili was created Crown Princess and heir to the throne. Much as European thrones had intrigue surrounding the crown so did Hawaii. During her trip to Europe as delegates for Hawai’i, she attended Queen Victoria’s Golden Jubilee where she learned of the Bayonet Constitution, which American, European and Elite Hawaiians forced King Kalakaua to sign the transfer of power from the monarch to the businessmen. All for the control of the sugar trade. On January 29 1891 Lili inherited the throne. She struggled to construct a new constitution that returned power to the monarch. It was never to be. The businessmen opposing such a measure organized to depose her because she didn’t support the Bayonet Constitution though these men seemed more worried that a woman ruled. Lili was kicked off her throne on January 17, 1893. The US government and President Grover Cleveland proposed to return her throne if she granted amnesty to all parties involved. She refused, some say because she wanted to behead those guilty parties but others say, she wanted them punished. In 1894, the Republic of Hawai’i was created. The United States government recognized the country. In 1895, Lili’uokalani was arrested after a failed Counter-Revolution when firearms were found at the base of Diamond Head. She was sentenced to five years of hard labor in prison and fined $5000. She actually served it in a bedroom of ‘Iolani Palace. During her time, she composed songs and penned her memoirs. She is the first Native Hawaiian female author. But it was music that spoke to her heart. She played guitar, piano, organ, ‘ukulele and zither. She sang Hawaiian and English songs. She helped keep the Hawaiian songs from being lost in time, banished under the washing of a culture. During this time, she abdicated her throne for release and so her jailed supporters were not executed. She received a full pardon and had her civil rights restored. 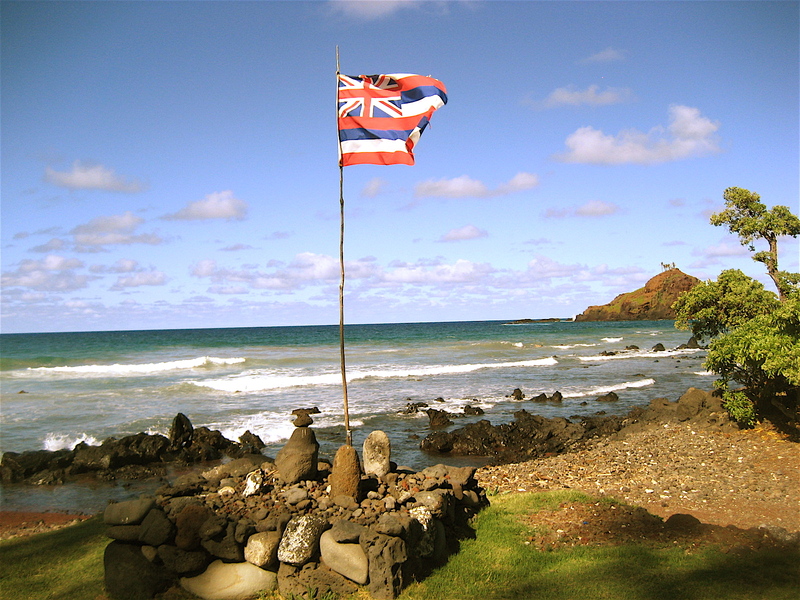 A year into the twentieth century, Republic of Hawai’i became the Territory of Hawai’i. She sued the US government seeking compensation but was unsuccessful. Though no longer queen she still helped Hawai’i. Today, the islands are a blend of cultures and peoples. And Lili’ uokalani supported Buddhist and Shinto priests. Another first for her, she attended Vesak Day, Budda’s birthday. At 79, she died from complications of a stroke. 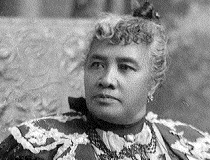 She willed that her possessions and properties were to be sold and the funds would go to Queen Lili’uokalani Children’s Trust to help orphaned and indigent children, which is still in existence. Hawai’i is my home and Lili’uokalani is my queen.